Items in this category are or have reflective and/or fluorescent variants in their ranges. Not what you were looking for? See Home above for our current on-line portfolio. Retro-Reflective tape. Used on Emergency Services & workmans outer-wear etc. 3mm Woven edge double satin ribbon. Sold in units of 120m(on 30m) & 100 metres. 80 shades available. 7mm Woven edge double satin ribbon. Sold in units of 100 metres. 80 shades available! Shade range B-10mm Woven edge double satin ribbon, 100m. 10mm Woven edge double satin ribbon. Sold in units of 100 metres. 80 shades available! Shade range TRADE-10mm Woven edge double satin ribbon, 100m. 10mm Woven edge double satin ribbon. Sold in units of 100 metres. Shade range B-15mm Woven edge double satin ribbon, 100m. 15mm Woven edge double satin ribbon. Sold in units of 100 metres. 80 shades available! 25mm Woven edge double satin ribbon. Sold in units of 100 metres. 80 shades available. Shade range B-35mm Woven edge double satin ribbon, 100m. 35mm Woven edge double satin ribbon. Sold in units of 100 metres. 80 shades available! 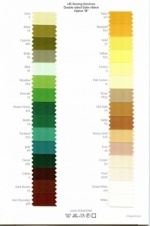 Shade range B-50mm Woven edge double satin ribbon, 100m. 50mm Woven edge double satin ribbon. Sold in units of 100 metres. 80 shades available! Bonded Nylon m40 Colours 3000m cones. 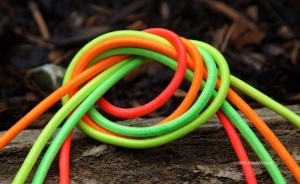 Including Flo Yellow, Green & Orange. High speed m120 top quality polyester-polyester core-spun sewing thread. Put-up on 5000m cones(minimum order 5 cones per colour).480 shades available! High speed m75.tex 040 top quality polyester-polyester core-spun sewing thread. Put-up on 5000m cones(minimum order 5 cones per colour).480 shades available! High speed m75(80)/Tex040 top quality polyester-polyester core-spun sewing thread. Put-up on 5000m cones(minimum order 5 cones per colour).430+ shades available! High speed m120 top quality polyester-polyester core-spun sewing thread. Put-up on 5000m cones(minimum order 5 cones per colour).430+ shades available!